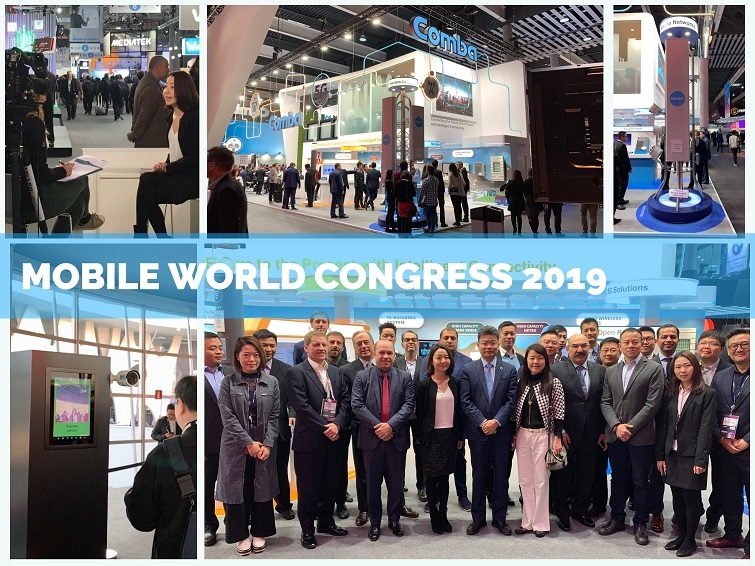 In 2019, GSMA rolled out a facial recognition program (BREEZ) using Comba's ScanViS Solution for Mobile World Congress 2019 - the largest wireless industry event. Watch Mr. Robert Courtney, Director of Event and Customer Care of GSMA talks about the benefits of facial recognition technology, the KPIs for using BREEZ, and the experience working with the Comba Telecom team. 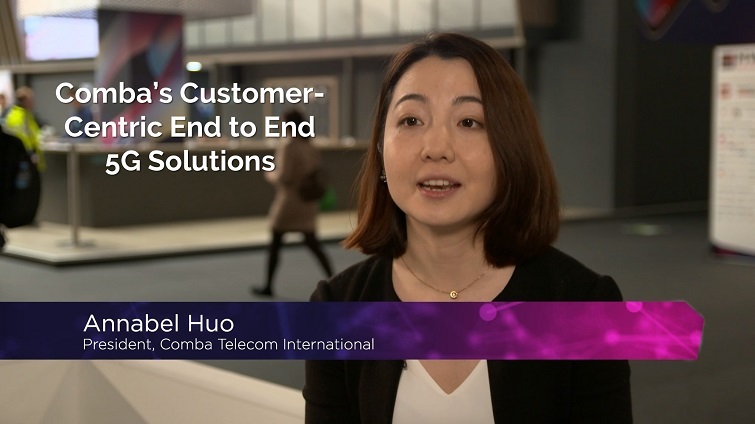 Ms. Annabel Huo, Executive Director of the Group and President of Comba Telecom International talks about Comba's customer-centric end to end 5G solutions with GSMA Mobile World Live at MWC 2019. Improve In-building Wireless Coverage with DAS - Featured on REoptimizer, Patrick Lau discusses ways to improve In-Building coverage with DAS. He describes how RF signals are affected, basics of DAS, and what building owners and facility managers need to know. The world biggest mobile industry event - Mobile World Congress 2019 (MWC 2019) was successfully held on 25 to 28 February in Barcelona, Spain. The event attracted more than 109,000 attendees from over 198 countries across the globe and more than 2,400 companies representing every part of the ecosystem. This year is the 15th year of Comba Telecom’s presence at the Mobile World Congress. With the theme of “Connecting the Future to the Present with Intelligent Connectivity”, Comba’s booth comprises display area demonstrating solutions for 5G innovations including base station antennas, fixed wireless access, Open RAN RRU, in-building wireless systems, and smart city solutions. Highlights at our booth were the debut of Comba’s Super Multiband Antenna and TDD+FDD Integrated Antenna for building a convergent network for LTE-based and 5G systems, and 5G Open RAN solution jointly introduced with Parallel Wireless. Another key highlight of Comba’s booth was the Fixed Wireless Access Solutions with 5G CPE, which will bring gigabit experience to mobile broadband users with the use of 5G advanced radio technology and much wider carrier bandwidth. Visitors were interested in our Open RAN solution, which combined with Comba’s RRU, base station antennas products and services, and Parallel Wireless’s 2G/3G/4G/5G software targeted for MNOs globally. Furthermore, Comba also successfully deployed the ScanViS ID facial recognition solution to enhance attendee experience and expedite venue access at MWC 2019, we received positive feedback from GSMA and the attendees. A number of respected industry analysts visited and were briefed about the latest innovations. Our regional teams were busy with visitor engagement and explanation on how our integrated products and end-to-end solutions can help them to provide seamless wireless connectivity and enabling 5G smart cities. During the four-day event, Comba Telecom has attracted visitors from 80 countries globally and engaged with over 1,500 international operator, system integrator and business partner. @2019 Comba Telecom Limited, All rights reserved. If you do not want to receive any more promotional emails from us please Unsubscribe here.